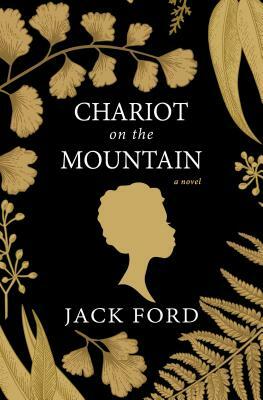 Based on little-known true events, this astonishing account from Emmy and Peabody Award-winning journalist Jack Ford vividly recreates a treacherous journey toward freedom, a time when the traditions of the Old South still thrived—and is a testament to determination, friendship, and courage . . .
Two decades before the Civil War, a middle-class farmer named Samuel Maddox lies on his deathbed. Elsewhere in his Virginia home, a young woman named Kitty knows her life is about to change. She is one of the Maddox family’s slaves—and Samuel’s biological daughter. When Samuel’s wife, Mary, inherits her husband’s property, she will own Kitty, too, along with Kitty’s three small children. Already in her fifties and with no children of her own, Mary Maddox has struggled to accept her husband’s daughter, a strong-willed, confident, educated woman who works in the house and has been treated more like family than slave. After Samuel’s death, Mary decides to grant Kitty and her children their freedom, and travels with them to Pennsylvania, where she will file papers declaring Kitty’s emancipation. Helped on their perilous flight by Quaker families along the Underground Railroad, they finally reach the free state. But Kitty is not yet safe. Dragged back to Virginia by a gang of slave catchers led by Samuel’s own nephew, who is determined to sell her and her children, Kitty takes a defiant step: charging the younger Maddox with kidnapping and assault. On the surface, the move is brave yet hopeless. But Kitty has allies—her former mistress, Mary, and Fanny Withers, a rich and influential socialite who is persuaded to adopt Kitty’s cause and uses her resources and charm to secure a lawyer. The sensational trial that follows will decide the fate of Kitty and her children—and bond three extraordinary yet very different women together in their quest for justice. Jack Ford has been an American news personality for over two decades. Following his early career as a prominent trial attorney, he transitioned to television news and has worked as an anchor/correspondent for Court TV, NBC News, ABC News, and CBS News. He has received two Emmy Awards, a Peabody Award, an American Radio and Television Award, a National Headliner Award, and the March of Dimes FDR Award. A graduate of Yale University and Fordham University School of Law, he is a visiting lecturer at Yale, NYU, and the University of Virginia, where he teaches a seminar on famous trials.